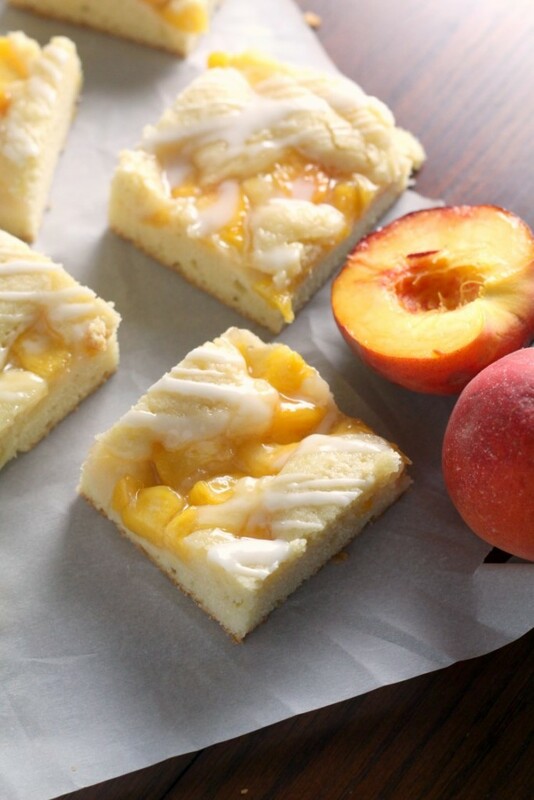 These fresh peach pie bars are the epitome of summer. 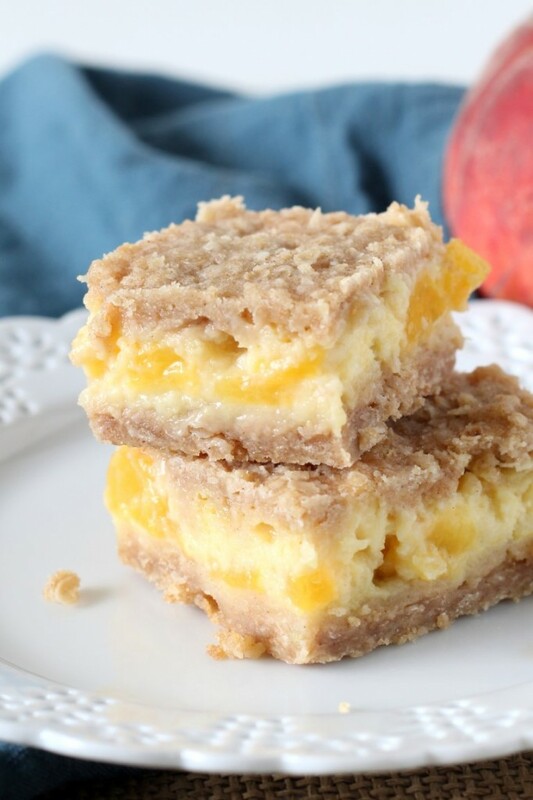 Anything peach is my favorite, especially these bars. And I love how much easier they are than actual pie. I’m so thankful for friends that can just pick up right where we left off, even though it has been months since we talked. We just had a good friend and her family stay with us for two days, the first leg of their summer vacation. 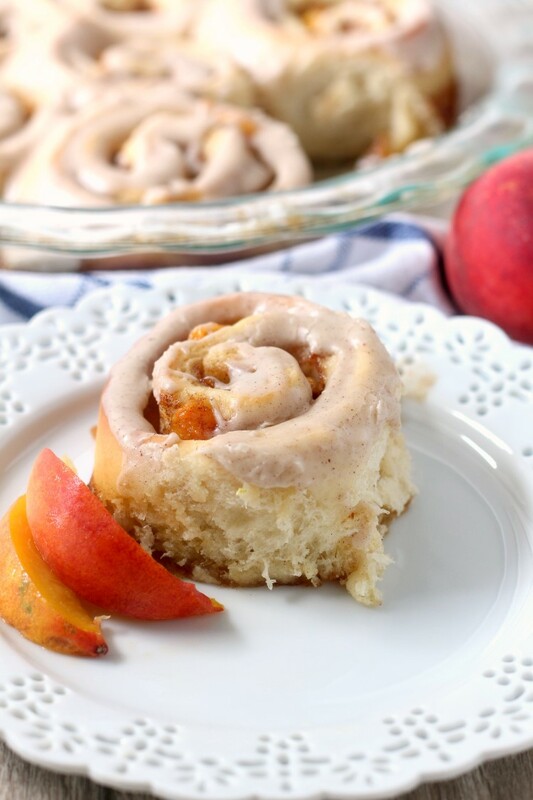 Brown Butter Peach Sweet Rolls are a fun summer time treat. Fresh, juicy peaches compliment the brown butter, brown sugar and cinnamon in the filling. Did you all survive the heat wave? After a sweltering week with the heat index being almost 100 everyday, we are enjoying this beautiful Saturday. Since it’s much cooler, we are tackling outside projects today. Moving lot of rocks from our backyard and power washing down the deck. 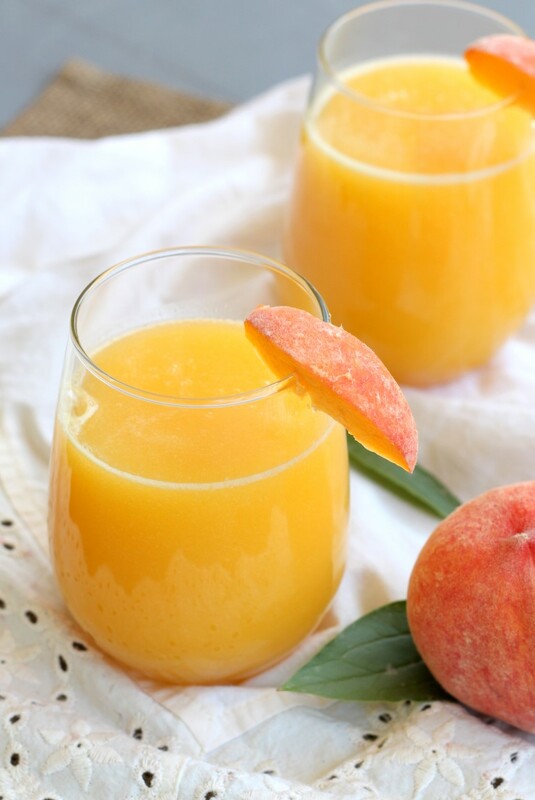 5 minutes, 4 ingredients and a blender is all you need to make this refreshing honey peach lemonade. So peaches are probably my favorite summer fruit. It’s a hard choice because I love strawberries, blueberries, cherries and apricots too, but peaches win. In fact, I rarely find myself baking with them because they are so sweet, juicy and delicious all by themselves, that adding other ingredients doesn’t do anything to improve them. A plain old peach is my favorite mid morning snack, afternoon snack, and late night snack. 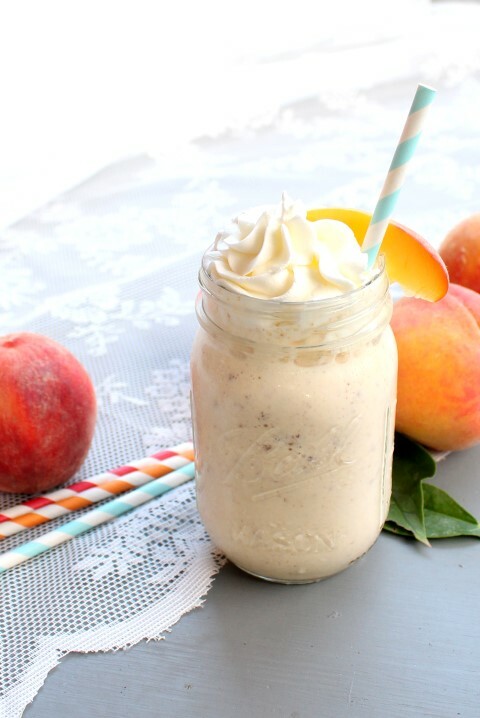 A simple milkshake that pairs all the nutty goodness of brown butter next to the sweet fruitiness of peaches. As close as you can get to drinking summer sunshine! Okay, so I’m stuck on a theme, but it’s a good one. 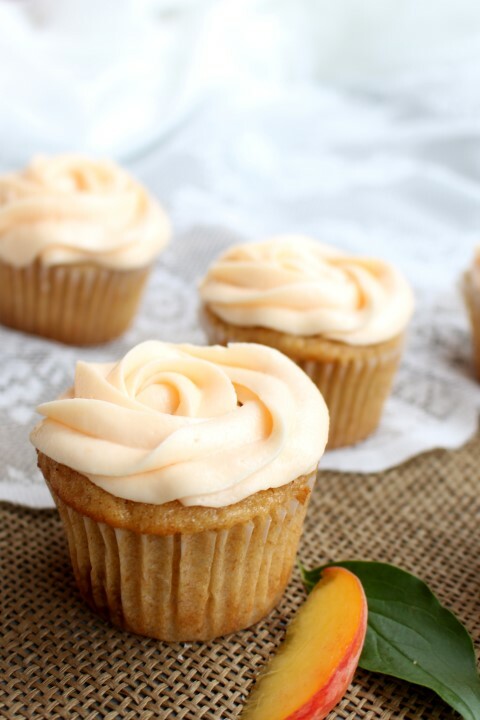 If you’re a regular reader of my blog, you probably remember the brown butter peach cupcakes from last week. Well this milkshake has all the same flavors as those cupcakes but in ice cream form. Think of it this way: I’m just covering all my readers’ bases! Some may prefer baking up a delicate cupcake and other just want to throw some ingredients in a blender and get dessert. Or I may just be looking for excuses to eat brown butter with peaches. And ice cream. I always want ice cream!